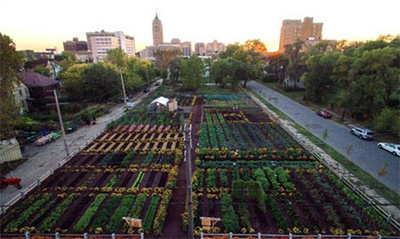 The agrihood is located in Detroit, Michigan, and feeds thousands of families in the area. Children and adults can learn about sustainable agriculture when they take part in the food forest’s development. Have you ever contemplated the fact that humans are the only species on Earth that pays to live on the planet? This continues, despite the fact that there is presently more than enough resources to care for every citizen. If it sounds too good to be true, look no further than what has developed in Michigan. Inhabitant reports that in the city of Detroit – which is recognized as a location where many families are affected by economic imbalance, America’s first urban ‘Agrihood’ exists and it feeds approximately 2,000 households. MUFI explains its project as an alternative neighbourhood growth model which centres on urban agriculture. Co-founder and president of the non-profit, Tyson Gersh, explained in a statement: "Over the last four years, we’ve grown from an urban garden that provides fresh produce for our residents to a diverse, agricultural campus that has helped sustain the neighbourhood, attracted new residents and area investment." Volunteers are essential for MUFI to flourish. Reportedly, plans are in the works to construct a 3,200 square-foot Community Resource Centre at the agrihood. The building will serve as a colourful headquarters and education centre. Nearby, a health food cafe will also be built, and it will likely utilize crops grown in the urban food forest.